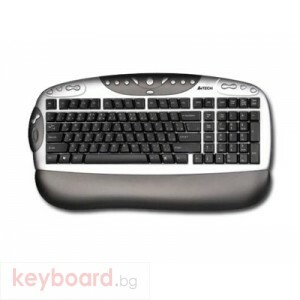 Set of energy-efficient wireless A4Tech GKS-2670D is designed for comfortable work in office applications. 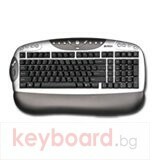 The multimedia keyboard is a set of GKS-2670D has 33 hot keys for quick access to the Internet, multimedia and office applications. 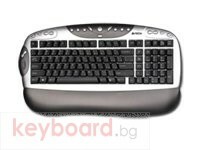 The digital unit is a compact keyboard. Through the pyramidal arrangement of keys is achieved the correct position of hands and elbows in the process of printing. Integrated stand for the wrist provides even more comfort. 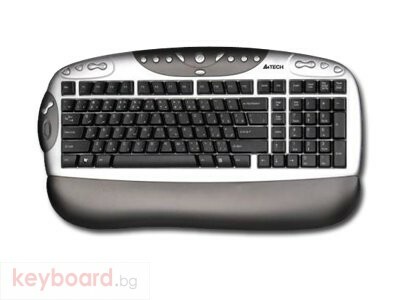 Wireless mouse reacts to the slightest movement rapidly and precisely. The optical sensor improves the accuracy of positioning the cursor. Sleep mode activated mouse during her downtime, which increases the battery time. Symmetrical design is intended for right-or left-handed on. Scroll wheel is programmed.